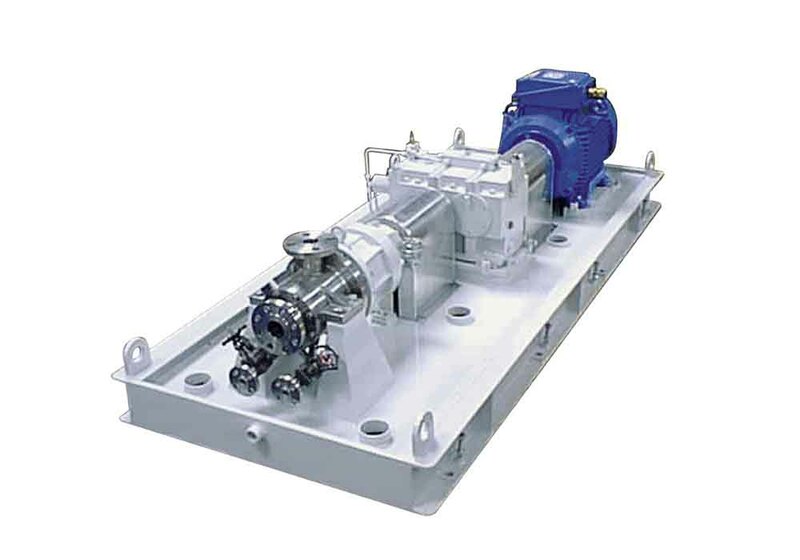 These pumps are designed for sanitary fluid applications, where keeping the pump cleaned of any process residual is fundamental. Mirror finishing of all external and parts in contact with pumped liquid, tri-clamp sanitary connections. 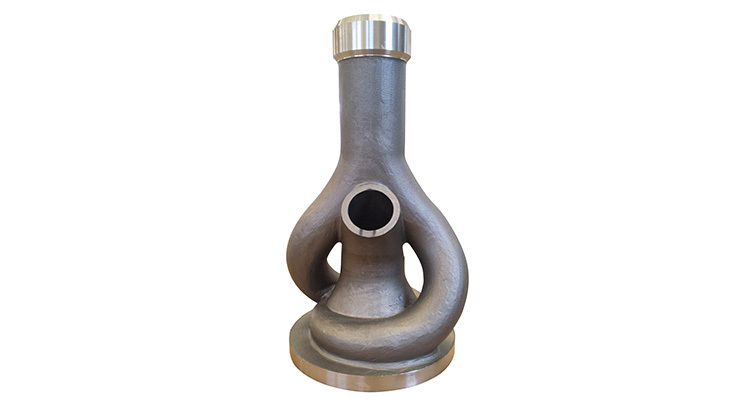 This pump is purposely designed for pumping hot fluids over 315°C (599°F). 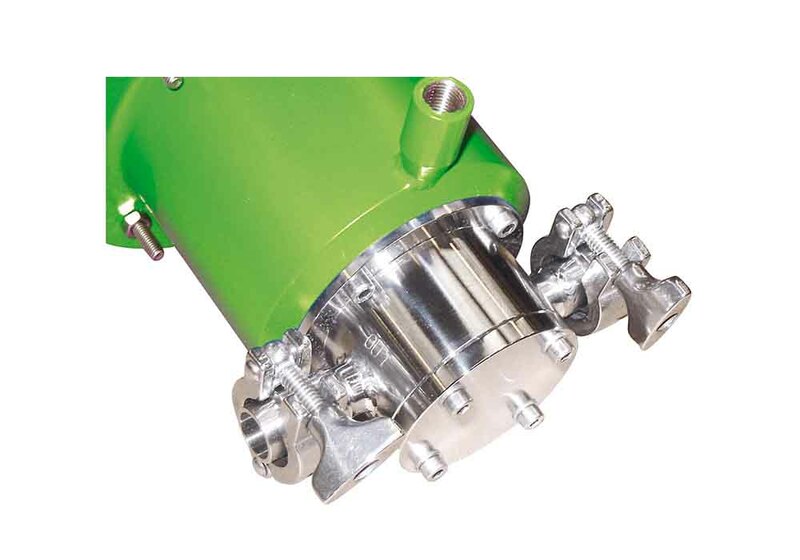 Even if this is a magnetic drive Sealless pump it has been equipped with an internal mechanical seal in order to keep separate the high temperature pump volute and the magnetic coupling, which is maintained around 100°C (212°F), by using an external flushing compatible with the process fluid. 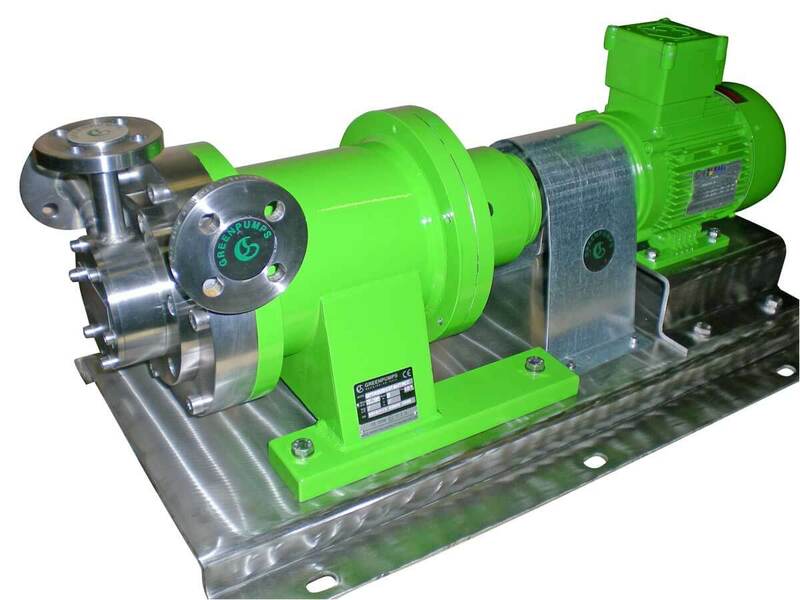 This double stage construction pump is purposely designed for low NPSHa, low flow and high head applications. 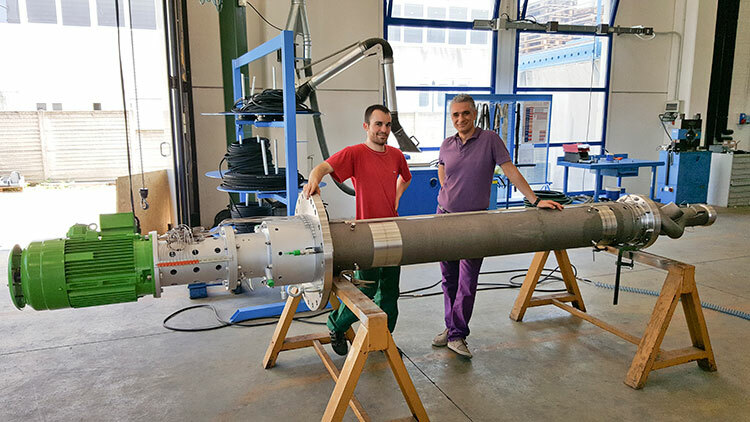 Firsts stage equipped with Francis vane centrifugal impeller in order to keep low the NPSH required and to flood the second and/or third stage that installs one/two regenerative turbine impellers. 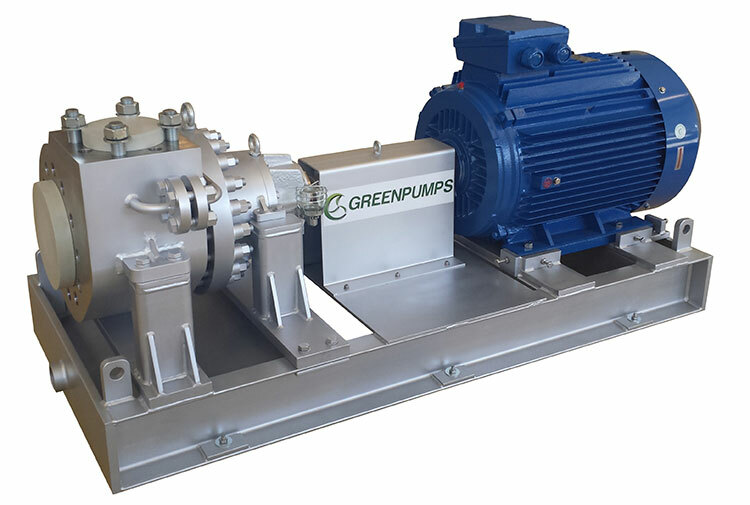 The pump for this specific application has been equipped with high-speed gearbox external to the pump, to further increase the duty point required. 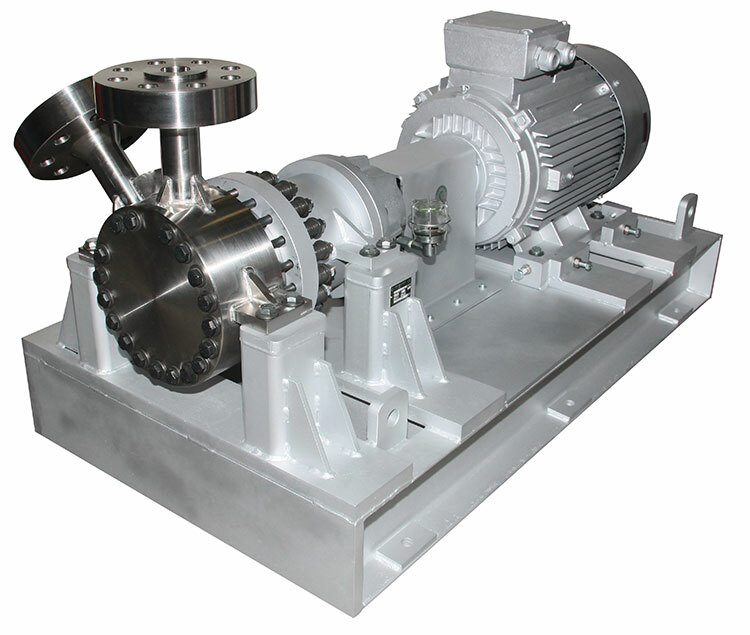 These pumps are only projected for the transfer of high temperature liquid metals, up to 450°C (842°F), vertical and horizontal configuration. 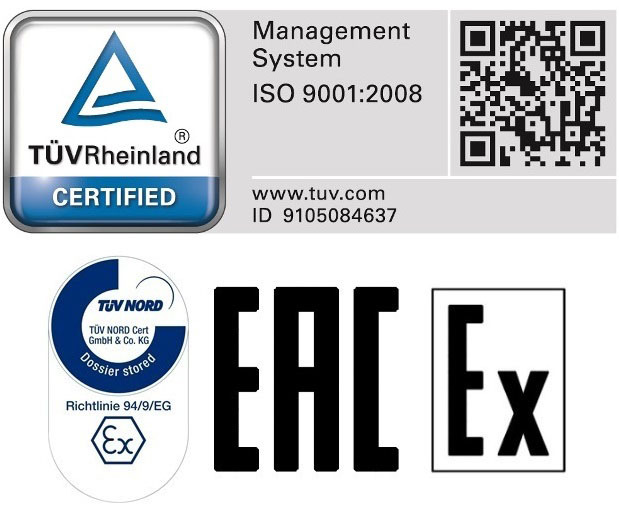 Possibility to have a traditional mechanical seal or Gas Seal. Pumps projected specially for extreme applications of pressure and/or temperature. 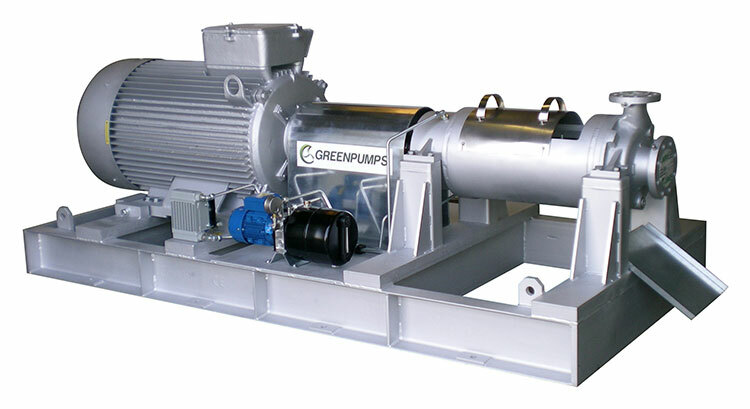 Pumps can be both centrifugal (GPCA) than turbine (GPTA). Any onerous specifics will be evaluated form time to time by our technical office.